IP Result of anti-P53 (IP:10442-1-AP, 4ug; Detection:10442-1-AP 1:1000) with A431 cells lysate 3000ug. 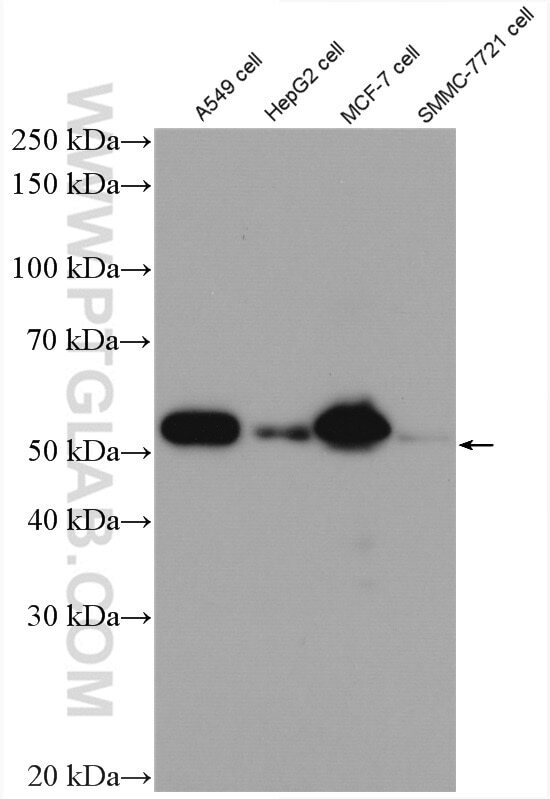 Antibody performed superb in a Western Blot application. 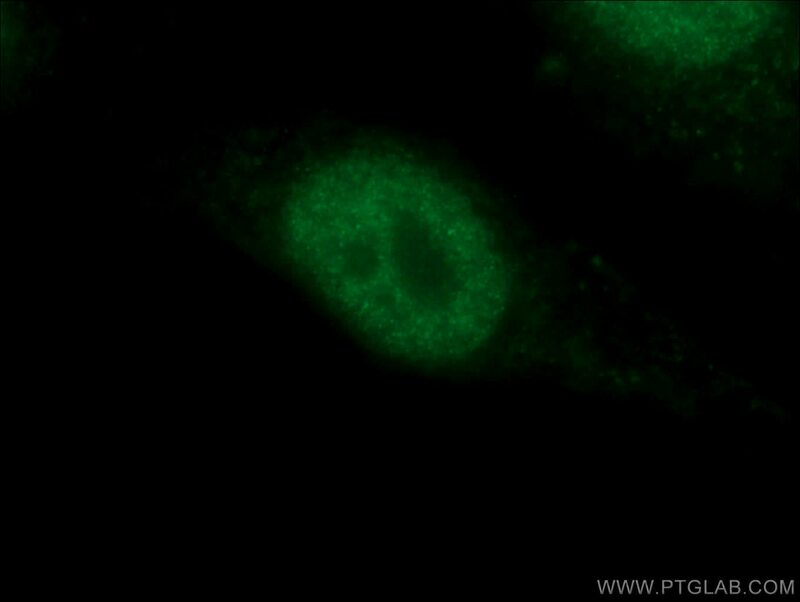 Used Licor IR secondary antibodies to label the p53 antibody along with ß-actin as a duplex assay and imaged on a Licor Odyssey FC. Cancer stem-like cell characteristics induced by EB virus-encoded LMP1 contribute to radioresistance in nasopharyngeal carcinoma by suppressing the p53-mediated apoptosis pathway. Overexpression of PKM2 promotes mitochondrial fusion through attenuated p53 stability. miR-34a-5p inhibition alleviates intestinal ischemia/reperfusion-induced ROS accumulation and apoptosis via activation of SIRT1 signaling. Core 3 mucin-type O-glycan restoration in colorectal cancer cells promotes MUC1/p53/miR-200c-dependent epithelial identity. Inhibition of neddylation by MLN4924 improves neointimal hyperplasia and promotes apoptosis of vascular smooth muscle cells through p53 and p62. S100B Mediates Stemness of Ovarian Cancer Stem-like Cells Through Inhibiting p53.